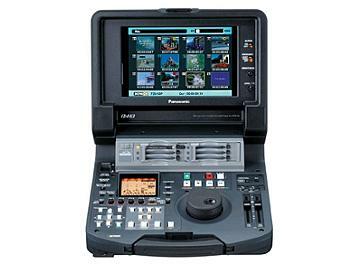 The Panasonic AJ-HPM110 is a Memory card portable recorder/player. Supports NTSC and PAL. Features master quality recording/playback in a wide range of HD formats, including native 1080p, 1080i and 720p, & in SD. Ideal for use in the field, mobile vehicles or the studio.